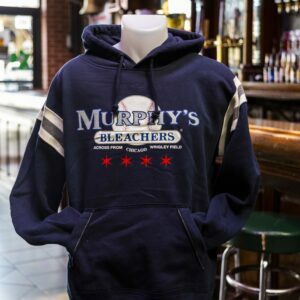 Welcome back baseball season with our 2019 Opening Day hoodie! 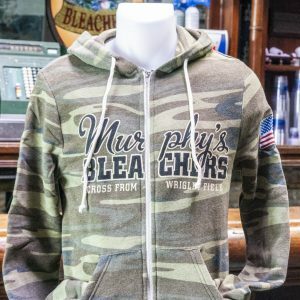 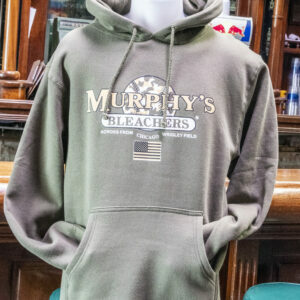 Vintage style hoodie with classic Murphy’s Bleachers logo. 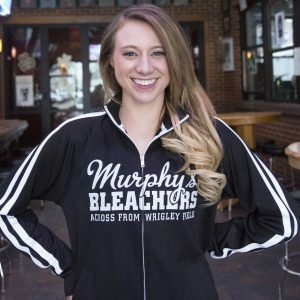 Black with white writing track jacket zip up. 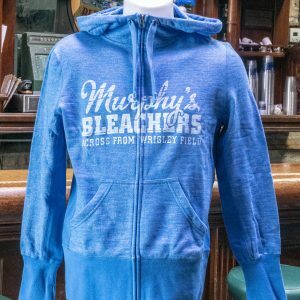 Women’s long sleeve light blue zip up hoodie with thumb holes and Murphy’s Bleachers classic logo.